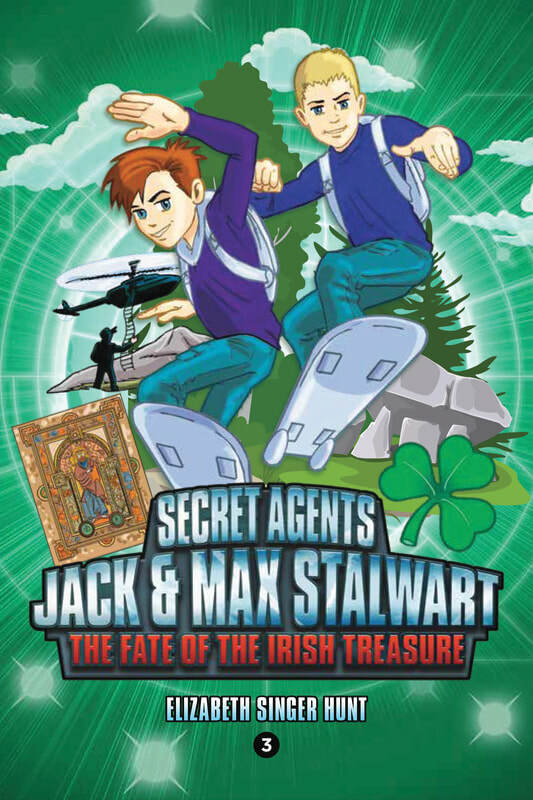 The new Secret Agents Jack and Max Stalwart chapter book series features the same beloved formula as the original Secret Agent Jack Stalwart series, but with double the fun and double the danger! 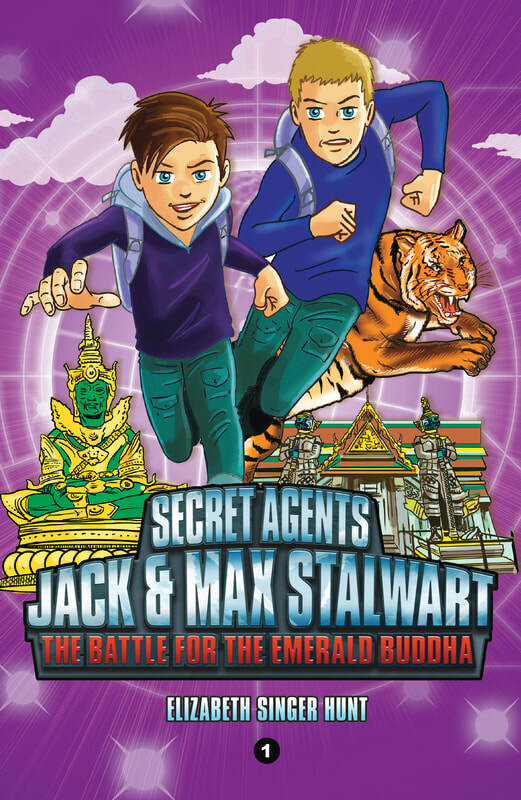 On vacation and retired from the GPF, Jack Stalwart and his older brother, Max, are motivated to act when a gang of thieves steals the Emerald Buddha from the Grand Palace in Bangkok. Without the support of the GPF and their trusty bag of gadgets, the brothers are on their own. Can Jack and Max rescue the statue and nab the crooks before the statue is lost forever? 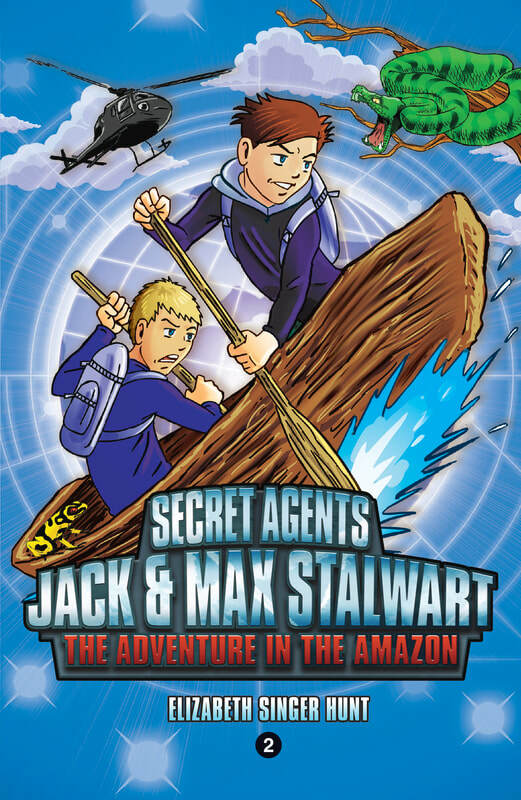 Secret agents Jack and Max Stalwart are sent to the Amazon jungle to find a missing GPF scientist. Soon, they discover that the scientist’s disappearance is no accident. A greedy outlaw is illegally mining for gold, and he’ll stop at nothing to keep his secret safe. Can Jack and Max save themselves and the scientist before the prospector flees the Amazon? Book 3: The Fate of the Irish Treasure (Ireland) - out now! Ireland’s greatest cultural treasure, the Book of Kells, is stolen from Trinity College Library in Dublin. Secret agents Jack and Max Stalwart are assigned to the case. Soon, they realize that their mission won’t be easy. The thief is always one step ahead and armed with deadly, hi-tech gadgets. Will the brothers be able to rescue the Book of Kells before it’s lost forever? Or, will Jack and Max’s perfect capture record be dashed? Book 4: The Race for Gold Rush Treasure (California, USA) - out now! In the foothills of California’s Sierra Nevada Mountains, an unbelievable discovery is made. A strongbox of $25 million in gold coins and nuggets dating back to the California Gold Rush is found. 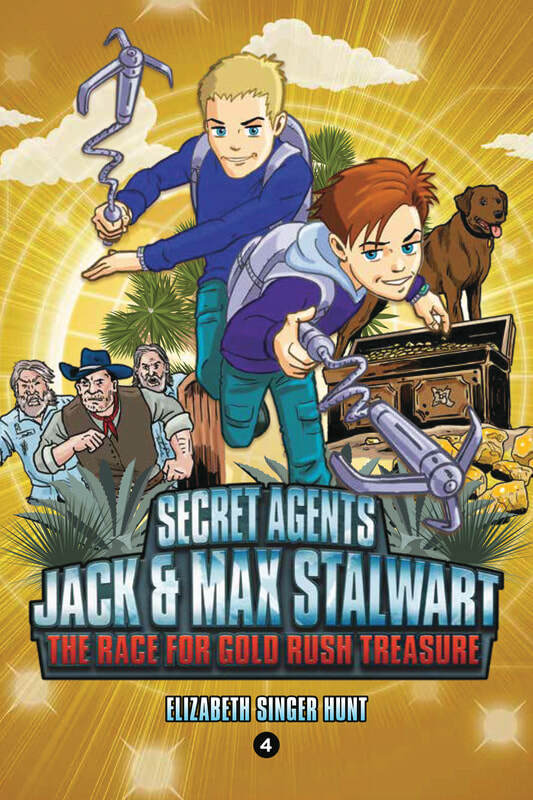 Secret agents Jack and Max Stalwart are sent to protect the treasure. But almost as soon as they arrive, it’s stolen. Little do they know that the culprit behind the theft is someone from Jack’s past. Unfortunately for the brothers, he’s not just interested in the loot. He wants revenge!